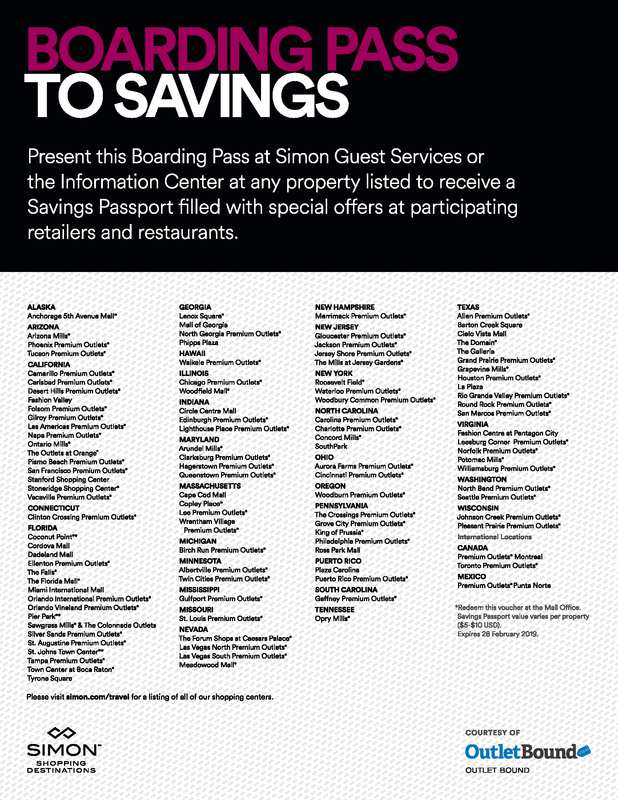 Conveniently accessed from NYC via the New York State Thruway at exit 16, Harriman, Woodbury Common Premium Outlets features 220 stores including Tory Burch, Nike, Celine, Bottega Veneta, Polo Ralph Lauren, Michael Kors, Burberry, Coach, The North Face and more all at extraordinary savings up to 65% off every day. Market Hall offers a variety of dining options including Chipotle, Pret A Manger, Pinkberry, and more. Additional amenities are also offered such as free WIFI and more seating. From the entire team at Woodbury Common Premium Outlets, we hope that you will visit us soon!